Eternal Summer Surf Camp was started by a few surfers in Bradenton, Florida who saw an opportunity to use surfing as way of reaching kids for the Kingdom of God. ESSC was founded in 2008 and started with only 12 kids and a handful of boards that the founders managed to pull together from their personal stash. 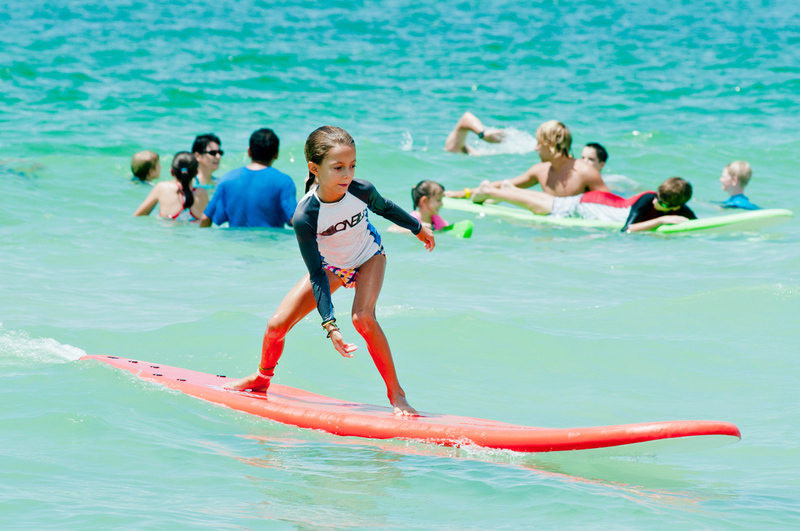 Eternal Summer Surf Camp was founded on two promises: it will always be free and kids will never be turned away. Every Sunday for six weeks in the summer, the team would read promises from God out of the Bible and then push the kids into the little waves that the gulf coast of Florida provided. Soon the word spread and by year three we had over 300 kids signed up. With nearly a decade of pushing kids into waves and teaching kids about God’s love, ESSC is now one of the largest surf camps in the world with over 2000 kids registering every summer. ESSC is a community event that runs solely on donations from people and businesses and is completely volunteer based. Get involved and tell us about yourself! AMI campus is located on the beach off of White Avenue on the north end of Anna Maria Island. Parking is located in the parking lot at Crosspoint Church, directly across Gulf Drive from White Ave. You can also park in the dirt parking lot on the west side of Gulf drive and White Ave.
Camp starts promptly at 2pm and goes until 4pm. Please try to get there an hour early to park and sign in. If you’ve got a free hand, feel free to grab a board on the way down to the beach! We will provide the boards and instructors and God will bring the sunshine and waves! A: You can register in person on the beach each Sunday beginning at 1:15. Q: I forgot to register or print the waiver. Can I still come to camp? A: Yes! Registration will be available until the first day of camp and then you must manually register at the registration table at camp. Extra waivers will also be available at camp to sign. Q: How old do my kids have to be to participate? A: As long as they are strong swimmers, they may participate. If they are not strong swimmers, we encourage you be the “catcher” in their group and have them wear a life vest. While we do not have a limit on how old you can be, we encourage High School and above to participate as instructors. Q: I don’t know how to surf; can I still be an instructor or volunteer? A: Yes! Most of our instructors are not pro surfers, just people passionate about kids and the Kingdom! We will teach you everything you need to know to be an instructor. Q: We will not be able to make all of the dates for camp. Can we still sign up? A: Yes! While you will certainly get more out of the camp the more you can participate, we understand that some people cannot attend all of the sessions. Don’t let that stop you from coming to the sessions you can. Q: I have a special needs child. Can he participate? A: Yes! If you feel comfortable with allowing your child to participate, we will do everything we can to make it happen! Q: My child has never surfed. Can she participate? A: Yes! Most of our campers have never surfed. The waves we will be pushing them into are very small and it is the perfect environment for beginners. Q: My child is an experienced surfer with his own board. Can he bring his board and surf on his own? A: He can, but not as a part of camp. We keep the kids in groups in order to better account for them and we use soft top surfboards for safety reasons. Cameron Rogers grew up in Bradenton and was a camper for many years in surf camp. His passion for Christ and the water led him back to Surf Camp many years later. Rogers is a Junior at Southeastern University studying Organizational Leadership and feels called to lead mission-based Christian Nonprofits. John Bowman grew up surfing White Ave and Beach Street on Anna Maria Island as a kid and much of his journey finding Jesus came through the same people he surfed with. Bowman still participates in surf camp every year but finds more joy in pushing kids into waves than running camp. John is also a big part of Inspiration Academy and loves mentoring kids and watching them discover God’s love.